Most of us probably don't stop to think about what a family is. The family that we grew up in probably influences our picture of a typical family. Large numbers of us grew up in a situation where there was a mother and a father who were married, with two or three children and our mother stayed at home in the early years of our life. The family has obviously changed over recent years. Separation and divorce are far more common and now having a baby, as a single parent, is no longer seen as a shameful mistake. The single parent household is now said to be the largest growing new household type. The politicians of the Right like to argue that the 'traditional family' has broken down and that its values have been lost too. It is interesting to wonder what the traditional family actually is, or was, and whether there has ever been a static family structure that was such a defining force in our society. A look at our social history will show that the family has always been evolving and changing, especially in the past hundred years. In the mid-twentieth century sociologists talked about the rise of the nuclear family and the demise of the traditional extended family. Now we are told that the nuclear family is breaking down as we have the rise of the single parent household. How long the extended family existed is unclear, since life was such that extended families could not have been common 500 years ago. It seems likely that family structures have changed as societies have evolved and our needs for survival have changed. Taking just the history of British society and the number of wars that were fought in the last millennium, it is likely that single parent families were very much the norm. One has only to look at the history of the past century with two world wars to see that for extended periods of time fathers were absent from the home, many never to return and that women had to leave their children in the care of others while they worked in factories or on the land.Working mothers were not created in the 1990s. So what does the family look like today? If diversity is a good thing, then the family is probably doing very well! In this country most babies today are still born to couples but the long-term prospects for those couples is poor in terms of divorce and separation. The break-up of the couple before the child becomes an adult (even where the separation is sensitively handled and the couple continue reasonable relations) does have consequences for the child. These children are more likely to have emotional or behavioural difficulties but this is not inevitable and there are many influences on a child's development. These issues have to be balanced against the costs to the parent of remaining in the relationship, especially where one partner may be experiencing stress or violence. Just when we might think the nuclear family unit is doomed, however, there are new types of nuclear families coming to take its place. Many more gay and lesbian couples are now openly becoming nuclear family units through assisted conception or adoption and fostering. 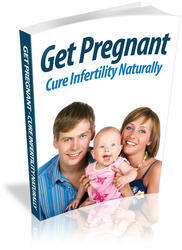 Many couples who previously would not have had children are doing so through fertility treatment. The largest new group is said to be the single parent household. However, statistics can be misleading and it is probably only a small number of these families that remain static throughout the life of the child. The 'reconstituted family', where one family is formed from other family units, is becoming much more common. From a broader social perspective many Western societies are predicting that their populations are shrinking dramatically as not enough children are being born to replace the population. This is a complex issue since populations do not necessarily expand in expected ways. Often the more prosperous a society becomes, the fewer children people will have. Other societies struggle to contain a growing population. So the family today comes in many shapes and sizes probably just as it has always done. Betty came to see me after a year of feeling depressed: at times it was so severe she could hardly speak. Her husband Peter said he couldn't understand it since they had looked forward to retirement and they certainly had enough money to manage. Betty had retired from her job as a cleaner some years ago and had looked forward to a retirement spent with her grandchildren. Betty was the oldest of 11 children and had helped to raise her brothers and sisters following the death of her mother. Betty said she loved children but had only had two because things were different in the years after the war and they couldn't afford any more. Her son had emigrated to Australia with his family and her daughter was married to a soldier and they were currently living in Germany. Betty said she felt 'completely useless', had nothing to do with her time and that her house was empty unless the family were visiting. She said she would never expect her children not to lead their own lives but she felt 'life was empty without your family around you'.